This Sovereign Debt Crisis is the nature of the beast we face. Understanding that crisis is half the battle, for after the business cycle turns, there will be a lot of finger pointing, but you can bet it will never be pointing at government. The country does not matter, as the people are the same. The audience last night in Warsaw was articulate, understood, and the made it known that they too distrust government. It really matters, not our nationality. People never start wars, only governments, who are not the people. Private debt never causes the end of a nation; instead, it is the debt of government. When people default, their assets are seized, and they were often thrown in debtors’ prison. When government defaults, you get revolution. Adam Smith called this, “The highest impertinence of kings to pretend to watch over the debts of the people and not their own.” This cycle of political change is about 309.6 years. The last wave began in the 1600s and culminated in the late 1700s, the wave before that is where capitalism began during the 14th century with the reintroduction of wages and taxes following the Black Death of 1346-1353. We can see that despite the American and French Revolutions, government always reverts back to the dominant punisher, assuming the very same power against the people who revolted to begin with. We can see that Thomas Paine’s words are applicable today. The U.S. government called Snowden a traitor for telling the people that government was illegally searching and seizing everything. It was irrelevant that he informed the people about the illegal acts of government. 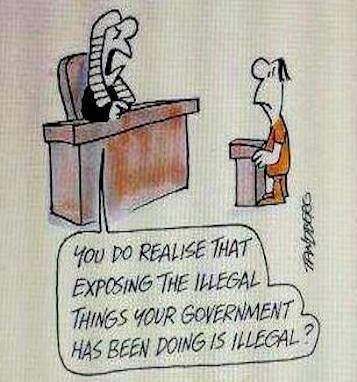 It was treason, by their definition, because he revealed what they were doing illegally to the people. That reflect what Paine said – they see themselves as the nation, not the people, who they exploit for their own survival. Understanding the enemy is the very first step in the reform process. About every 309 years, we reach a crisis in government. This has been resolved, unfortunately, with violence for whoever is in power never goes quietly into the light. The late 1700s was of course the American and French Revolutions, and today the people of both nations have less rights than what existed when they rose up in their respective revolutions. Both revolutions were sparked by a debt crisis. 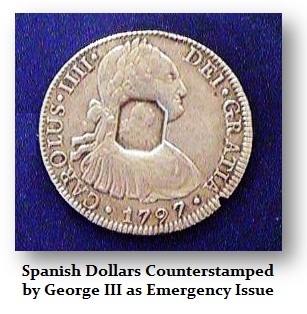 In Britain, George III needed money so badly, he was taking Spanish coins and counter stamping his own image to make them English. The Assignates were paper money issued by the French that was back by confiscating the property of the Catholic Church. The Crown had bailed out the debt of the Mississippi Bubble of 1720 and that imposed harsh taxes upon the French people. We are in the very same position of a Sovereign Debt Crisis that once again is turning to confiscating everything we have, as government is always driven by debt. Thomas Jefferson was highly practical. He wanted the Constitution to automatically expire every 19 years and was against any government debt. Why? 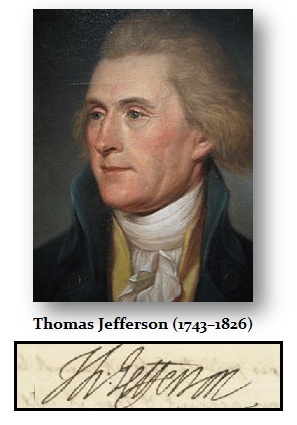 A national debt, to Jefferson, was taxing the next generation without representation. Indeed, we are being heavily taxed to support the continued rollover of debt. Without question, this is where we are once again. Jefferson understood looking at history as it repeats because human nature never changes. He saw that war was caused by standing armies, and once government is paying to maintain such a force, it is like have a car you never drive. If we look back 309 years from the 1700s, we come to the 14th-15th centuries. 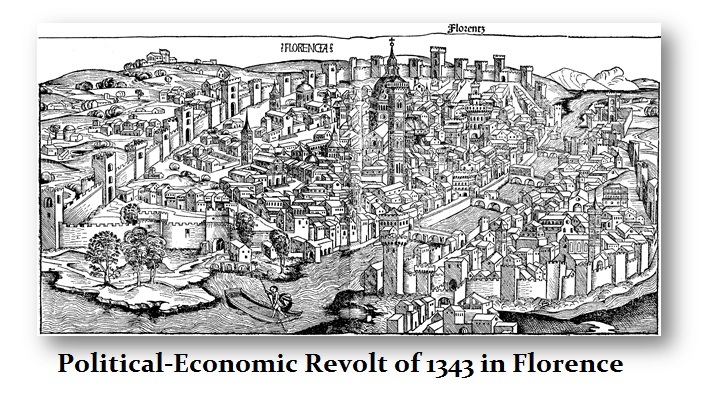 In Florence, it began with a revolution where they too ran out and hung bankers. The great series of tax revolts began on that cycle in England and France that finally culminated following the Black Death (1346–1353) where capitalism really began with the reintroduction of wages given the shortage of labor. Perhaps this time we can put pressure for political change by eliminating debts and this viscous cycle of Sovereign Debt defaults that destroy society. We can prepare for our individual survival by comprehending the nature of the beast. As was discussed in the session in Warsaw, it is true gold is no longer the savior since we cannot hop on a plane with a briefcase full of gold and seek a new start. Gold’s role may be local and in an underground economy, but make no mistake about it, government is well aware of that role as well. Governments are robbing anything travelers might have these days. There were even signs in Poland warning that if you have more than €10,000 in cash or “assets” when traveling it is illegal. They will look for jewelry, stocks, gold, or diamonds. Anything they deem of value they can confiscate. This is a new age of authoritarianism and it is not ending nicely. The idea of crypto-currencies is also rather foolish for nothing can compete against a government that is ruthless and broke. They have the guns and the tanks, and will use them against the people. Our hope is to identify the problem and spread the word. 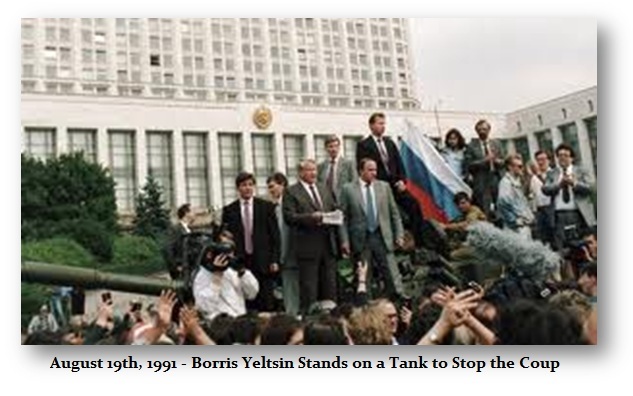 Yeltsin stood on the tanks in Russia and asked the troops not to fire on their own people. If the pawns of government refuse to massacre their own people, then we can win. It is critical to understand that police and military will become the tool for both sides. This is why Brussels is now calling for a European Army. That will be their power and sending Greek troops into Germany will prevent the troops from siding with the people. This is also why there is a mad rush to create robots for war. They have no emotions and cannot be turned. Government understands their weak-link, for throughout history it has always been the loyalty of the troops. That is what we must understand. We must understand that private assets are the means to survive – not pensions or government bonds. Eliminating cash is their way to force people into banks and prevent a bank run. That will end in the total authoritarian government, for you will not be allowed to buy or sell except without the grace of government.